I finally figured out what these are from.. 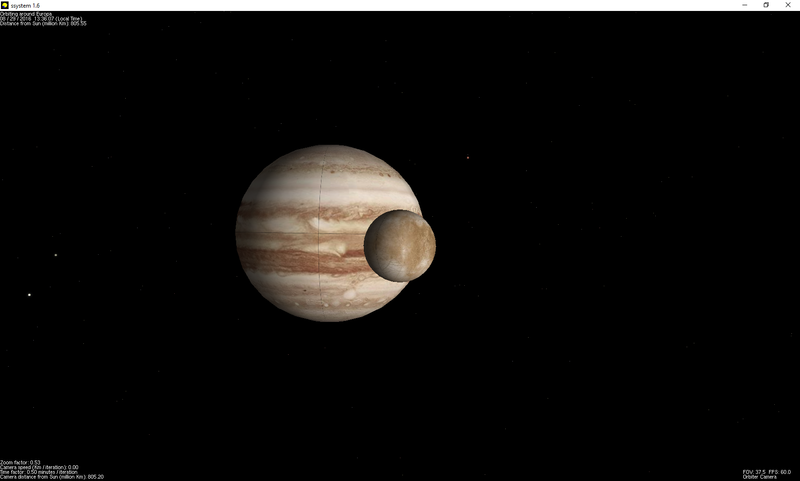 The Sharp/Hudson floating point libraries. Link with FLOATEML.L, and the problem is solved. DOH! Now to build libgcc.a without GCC …. Yes, I probably need a better hobby. Hello x68000 from GCC 1.30 Tool#2(X680x0)! I’ve gotten the compiler to build natively as a win32, however the assembler & linker are x68000 programs that I run via run68. libgcc.a is missing so there is no floating point support at all. I have to figure out how to generate it. Right now it’s using the SHARP/Hudson libraries on the C Compiler PRO-68K ver2.1 disks. I don’t think this will be of value to anyone, but for the hell of it, you can download my incredibly rough port here. Linking doesn’t work by default, so you have to manually link, as what I did above. 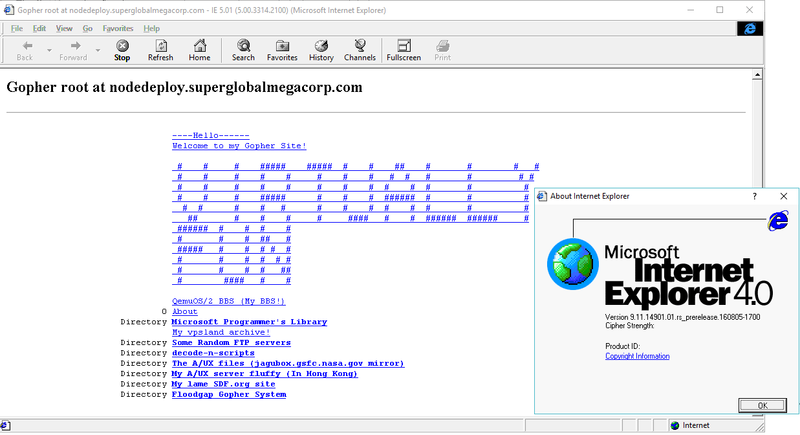 While further searching around on Linux 0.01, I came across DrAcOnUx’s site which features a Linux 0.01 remake! 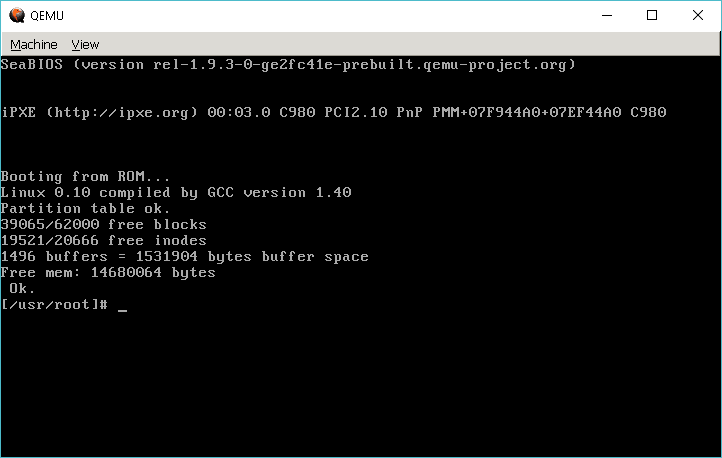 As I actually do have a working GCC 1.40 + Binutils I though it would be great to build his first phase on Windows. 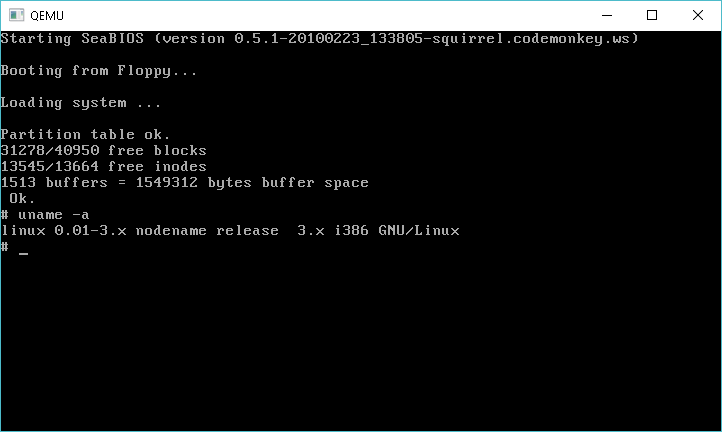 With a little playing around in the makefiles, and the build program to open files in binary mode, I had a kernel! Obviously there is issues with the executables that I have from Linux 0.10/Linux 0.11. But we are mounting the disk, and using the /dev tree devices. I put the remake versions on my cvsweb to walk though what changed. 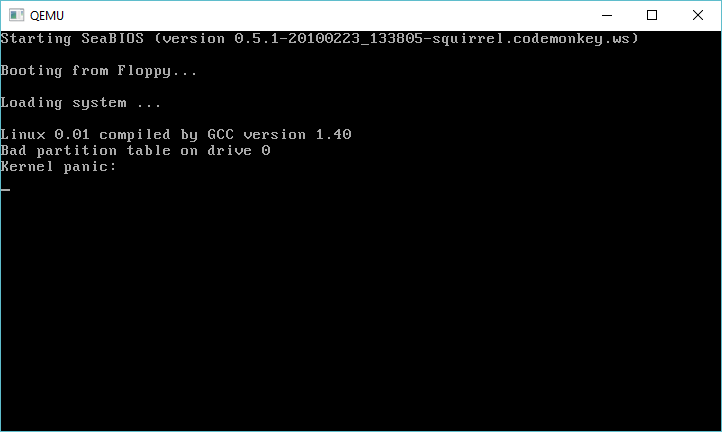 Using an older ‘modern’ Linux machine with GCC 4.1 I was able to compile the remake #3 kernel, and even better with the provided disk image from the downloads page it works! For any aspiring software historians out there, this early version of Linux from September of 1991 will be of course VERY interesting! I looked at the source again, and for some reason 99% of it compiled without issue.  I recall having all kinds of issues, but clearly I was doing something wrong back then. 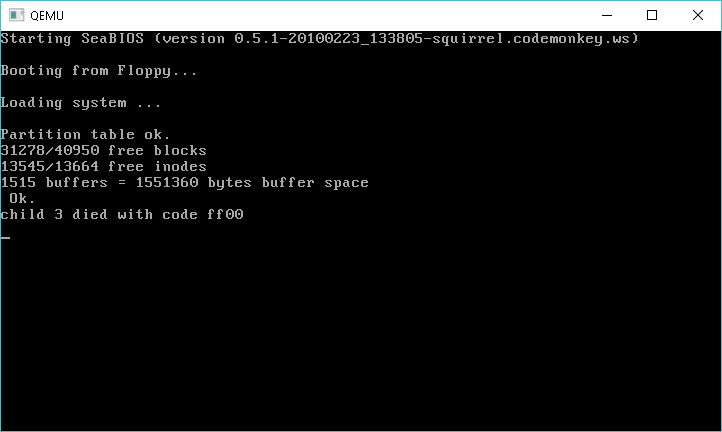 At any rate, all I really had to do was modify the commenting style in the 8086 boot block code, and modify the image creation tool to open files in O_BINARY mode for Windows, and I got an image that will boot, then panic because it has issues reading the hard disk. I tried the seemingly small ‘fix’ from Linux 0.11 but it’s not working. Author neozeedPosted on August 27, 2016 Categories cross compiler, gcc, LinuxLeave a comment on Linux 0.01 on Qemu! Author neozeedPosted on August 23, 2016 Categories cross compiler, gcc, Linux, qemu3 Comments on Linux at 25 years! iomega clik! 40MB removable drive! Ever since I got dynamips, the cisco router emulator to actually run code compiled by GCC, I wanted to do something more fun than a simple game of planetfall with a memory mapped file. And to make a router more like a real computer, I’d want some kind of disk. 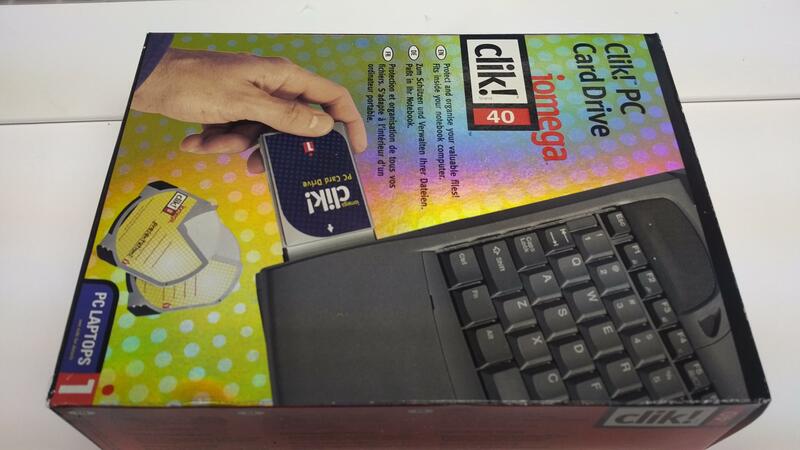 Now most cisco routers have PCMCIA slots, so remembering back in the day iomega sold the click! 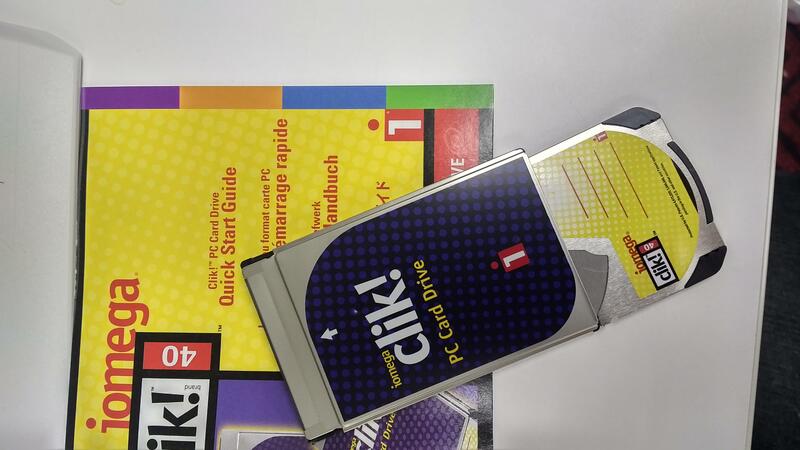 drive, a 40MB removable disk cartridge that has a PCMCIA interface! Neat! And even better, on eBay I managed to fine one. And much to my surprise when it arrived it was NIB, from 1999! 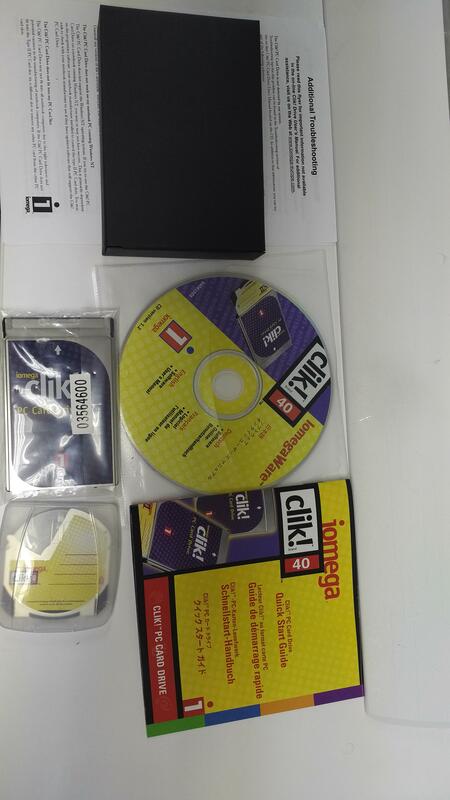 As you can see, there isn’t much inside that box, a CD-ROM of the manual, a brief leaflet, and of course the drive itself and a single 40MB clik! cartridge. I have to say that it’s all pretty neat. 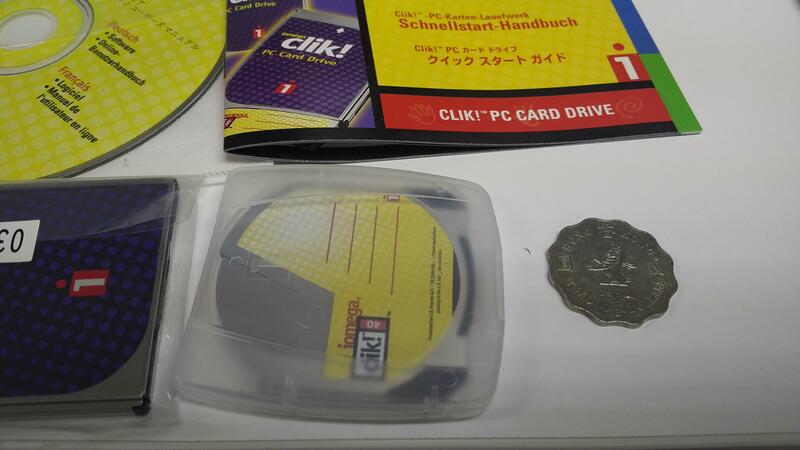 The disk itself is pretty small. It does remind me of the older minicomputer disk packs with a removable sleeve to protect the media, but like a three and half inch floppy it is spring loaded to keep users away from it. Inserting the clik! disk into the drive. The disk gently slides into the drive, to give a very satisfying ‘click’ sound to it. Unfortunately for me, since this was one of those late night impulse purchases I should have remembered that the cisco 1701 series of routers does NOT have a PCMCIA slot, and the NPE-G1 on my cisco 7200 VXR, instead has a compact flash adapter, not the full PCMCIA. While I do have a RSP 4+ with the PCMCIA slots, I don’t have a chassis or power supply so I can’t do anything with it anyways. Unless I find the pinouts, and make my own harness to power it up, which I guess is always possible. So close, but it went nowhere. But I thought it was interesting enough to take a look at such a tiny storage solution from the turn of the 21st century. Author neozeedPosted on August 12, 2016 August 12, 2016 Categories DASD4 Comments on iomega clik! 40MB removable drive! Clocking in at just under three hours, I haven’t watched it, so no review I just found out about it. Panelists:Jack Browne, Murray Goldman, Thomas Gunter, Van Shahan, Billy D. Walker. Members of the management, design, manufacturing, and marketing teams responsible for Motorola’s 68000 family of microprocessors and peripheral products discuss the evolution of their activities from the 1970s through the 1990s. The 68000 microprocessor line was critical to emergence of the workstation class of computer systems as well as to Apple Computer’s line of personal computers across the 1980s. Murray Goldman, the executive who lead this segment of Motorola, describes the background for and strategy surrounding the 68000 effort. Thomas Gunter, who directed the 68000 program, provides a detailed technical accounting of the developments. Jack Browne, who led the marketing function, describes the importance of customer interactions. Bill Walker, who led the manufacturing function, details the hurdles faced in fabricating the 68000 family. Van Shahan, a member of the design team, lends important perspectives on the changes that the 68000 helped bring about from the era of centralized computing to decentralized and personal computing.